What unites Google and Facebook, Apple and Microsoft, Siemens and GE, Uber and Airbnb? Across a wide range of sectors, these firms are transforming themselves into platforms: businesses that provide the hardware and software foundation for others to operate on. 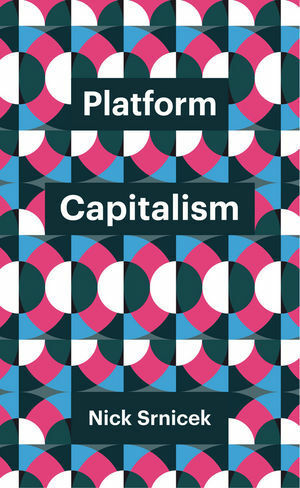 This transformation signals a major shift in how capitalist firms operate and how they interact with the rest of the economy: the emergence of platform capitalism. Nick Srnicek is a lecturer in international politics at City, University of London, and co-author of the influential Accelerate Manifesto. "Probe the slithering, creeping collusion between public and private, work and exhaustion, capitalism and death. As cars transform into terrorist devices and public housing explodes into flame through neglectful policies, planning and practices, we require books to understand the loss of agency, the loss of choice and the permanent revolution of fear, confusion and ignorance."